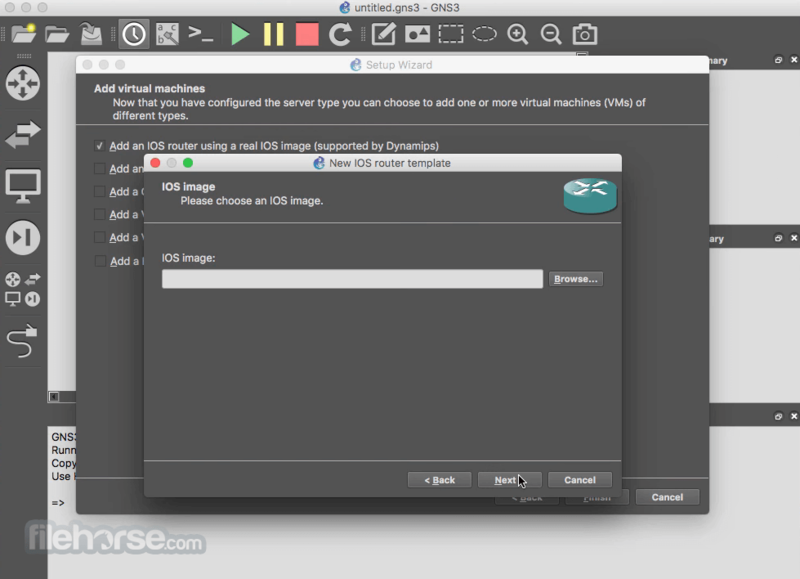 GNS3 for Mac is a software that simulate complex networks while being as close as possible from the way real networks perform, all of this without having dedicated network hardware such as routers and switches. It can also be used to experiment features or to check configurations that need to be deployed later on real devices. Build, Design and Test your network in a risk-free virtual environment and access the largest networking community to help. 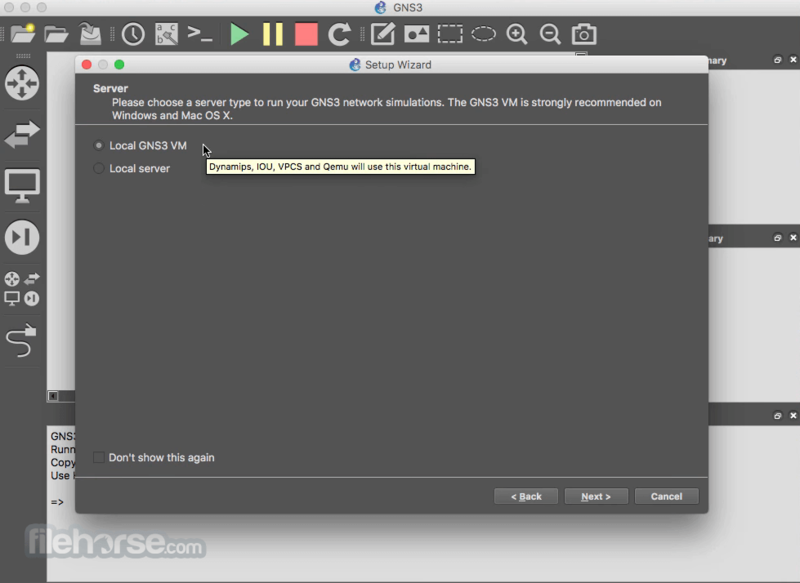 Whether you are studying for your first networking exam or building out a state-wide telecommunications network, GNS3 for Mac offers an easy way to design and build networks of any size without the need for hardware. And the best part is it's free! 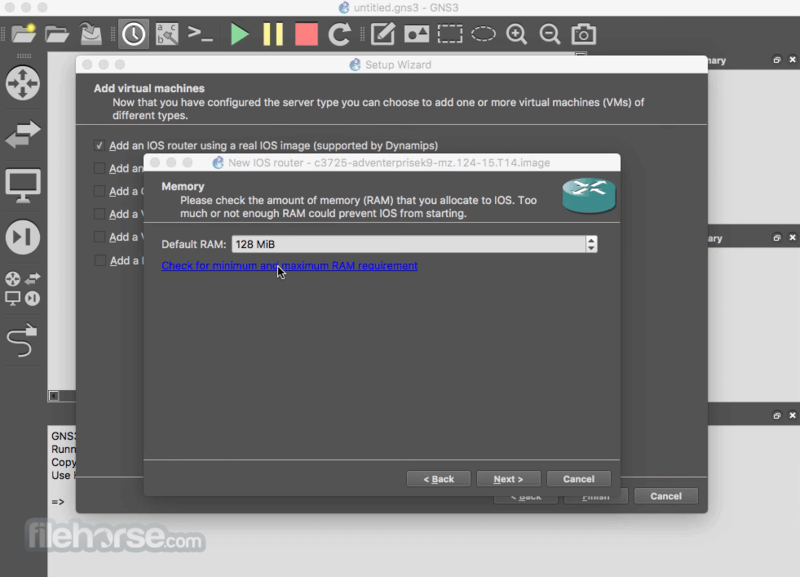 Why should you use GNS3? Run the OS that emulates real behavior of network hardware. Quickly run and test multiple hardware vendors without the need for hardware. Test your networks before you build them to reduce the time it takes to get a production network up and running. 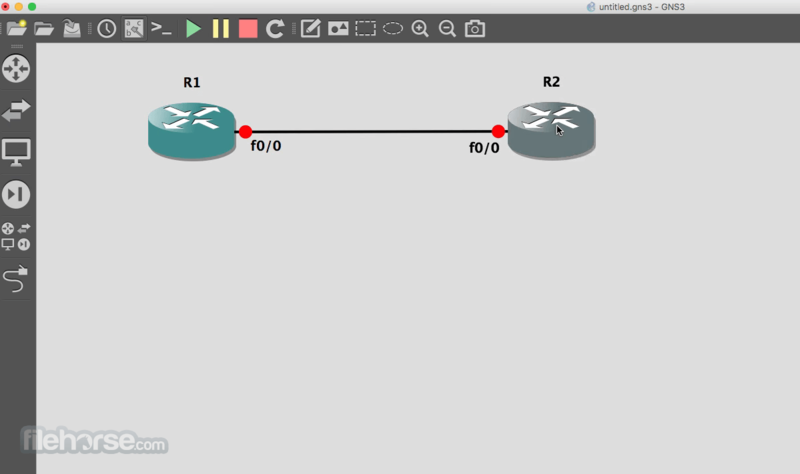 Leverage your existing hardware and expand your current lab by connecting your GNS3 topologies directly to it. GNS3 is the best study tool for aspiring network professional seeking their certifications, without the need for a home lab.